Kantaris is a new media player based on code from Videolan client (VLC) and Bass audio library. Kantaris Media Player aims to be an all-in-one media player that provides a great audio and video experience. 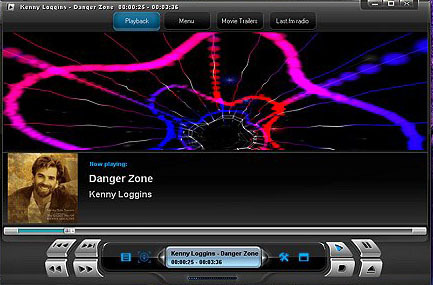 Kantaris is an open-source alternative to Windows Media Player with similar GUI & features. Video playback is based upon Videolan Client (VLC) which enables Kantaris to play almost anything without the need of installing any codecs separately. ...... All this is completely free. Kantaris Media Player aims to be an all-in-one media player that provides a great audio and video experience. Kantaris Media Player is an open-source alternative to Windows Media Player with similar GUI and features. Video playback is based upon Videolan Client (VLC) which enables Kantaris to play almost anything without the need of installing any codecs separately. Kantaris Media Player features an attractive skin, some nice audio visualizations, and integration with Last.fm and Apple movies trailers. Qweas is providing links to Kantaris Media Player 0.7.4 as a courtesy, and makes no representations regarding Kantaris Media Player or any other applications or any information related thereto. Any questions, complaints or claims regarding this application Kantaris Media Player 0.7.4 must be directed to the appropriate software vendor. You may click the publisher link of Kantaris Media Player on the top of this page to get more details about the vendor.